The long-running battle over Martins Beach escalated Tuesday, with members of the state Lands Commission voting to study using eminent domain to gain access to the beach. 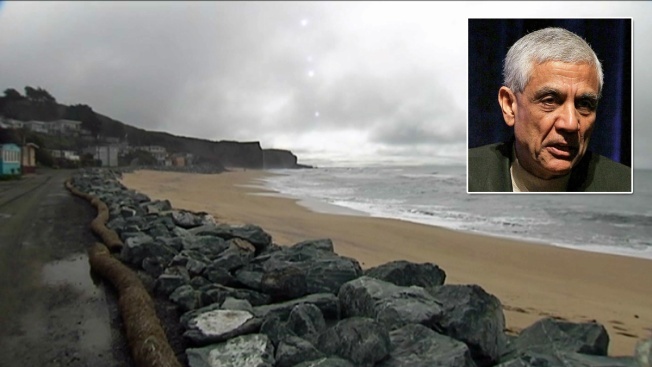 Access to the coastal property south of Half Moon Bay is the subject of a battle between the landowner, venture capitalist Vinod Khosla, and the state of California, along with citizens who have clamored for the billionaire to allow them access to the beach. The commission has never used eminent domain in its 78-year history and clearly wants to reach an agreement with Khosla. Khosla closed-off public access to the beach when he bought the property eight years ago. The issue is the subject of three lawsuits, including a federal suit filed by Khosla against the state.